Some of our politicians need to familiarise themselves with the concept of "room to fail" (Nicola Sturgeon has ‘full confidence’ in under-fire police chief). If people are expected to perform effectively in roles which require more than just following set procedures and performing routine tasks then it must be accepted that some of their efforts will be less impressive than others. They should be judged, not on their minor failures, but on their overall performance, their openness to new ideas, and their ability to deal with those occasions when things don't go as well as they might. The current SNP administration has been successful largely because its policy agenda is driven, not by unswerving adherence to a particular political ideology, but by a pragmatic approach which puts the needs and priorities of the nation before party dogma. On the other side of the scales we have opposition politicians who, spurred on by the sensation-hungry media, treat the running of our country as a trivial game in which the object is to take the scalps of government ministers or other prominent public figures associated with the administration. I know which I prefer. I know which is most worthy. I know which serves Scotland best. I respect Nicola Sturgeon's judgement. When she expresses confidence in Sir Stephen House, I have not the slightest doubt that she is sincere. 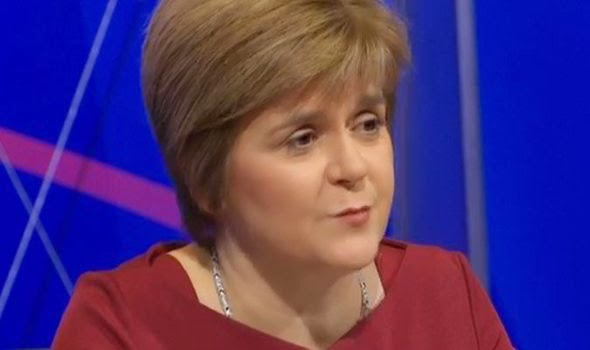 At this juncture in her term of office it would be to her great credit and lasting advantage were she to show her mettle by fending off the "angry villagers" of the British parties at Holyrood as they come at the Chief Constable with their torches and pitchforks. If Sir Stephen House is to be removed then it must be for cause. And it must be seen to be a genuine and pressing cause. It is crucial that there be no perception that Nicola Sturgeon is pandering to the baying mob. Allowing those charged with implementing bold reforms room to fail is plain good sense and a prerequisite of any programme of meaningful reform. Progress requires innovation. And there is no innovation without failure.